Love that chic embroidery on your favorite dress? What if we tell you that doing embroidery or stitches on clothes is not a big deal at all. In fact, sewing machines now a days are so easy to use that it doesn’t even require any expertise. Any beginner with decent quality sewing machine can start their sewing journey today! Majority of the features comes in-built which makes sewing machines easy to use for beginners. Well, no doubt why they are getting so popular. Apart from darning holes in clothes, there are lot more things you can do with a sewing machine. For example, you can make different stitch patterns or try making an embroidery border. Other than that, you give beautiful patterns to that plain boring cover of your cushion. Not only will this enhance beauty of your interior but will help to save lot of money. Above all, you are master of your choice with freedom to make pattern you love. And our best sewing machine for beginners will help to get you perfect product according to your needs. 15.1 1. How To Use A Sewing Machine For Beginners? 15.2 2. Which sewing machine is best for home use? 15.3 3. What is the best quilting sewing machine for a beginner? 15.4 4. Which Sewing Machine is Better: Computerized Or Mechanical? As a beginner, you are way too enthusiastic to try out sewing as soon as the machine arrives. Also you do not want to spend much time on understanding how the stuff works. All you need is a best sewing machine with easy to understand features. And this sewing machine from brother is best for beginners because of its user-friendly features and working mechanism. The brother CS6000i sewing machine offers 60 built-in sewing stitches along with 7 styles of one-step button hole. These in-built stitching choices makes it easy for any beginner to show their creativity. Also, you get a buttonhole foot free which can make 7 different styles. LCD screen of the brother CS6000i further makes the product more easy for a newbie to use. This screen displays the current mode within 60 built-in stitching modes. In case you operate any mode incorrectly, the machine displays an error. This in turn prevents your fabric with having different style of stitch pattern. Once you get familiar, you can increase speed up to 2 times with a button present on the machine. In short, the button allows you to control speed according to your convenience. Wide table of brother CS6000i makes it possible to work on big projects. And by big projects we mean, you can make a quilt, tablecloth and much more. The brother CS6000i sewing machine provides 8 sewing and quilting feet accessories. One of the accessory is quilting foot that is responsible for accurate placement of quilt stitches. Each of these accessories simplifies your work while making the product best sewing machine for beginner. Bottom Line: Though many people consider it good for experienced people, but brother CS6000i is truly for everyone. You start learning your sewing lession on it and become an expert. You won’t have to buy another machine. If you are looking for a best sewing machine for beginners with basic stitching patterns then here’s a perfect product. This sewing machine from singer provides all basic features to perfectly stitch a cloth. With 6 built-in stitch pattern, this singer sewing machine is suitable for regular as well as fancy work. All of these patterns comes with pre-set stitch width and length. As a result it saves lot of your time. All you need to do is simply select the pattern and start sewing. This simple working makes it one of the best singer sewing machine for beginners. Secondly, it works on electricity. You need to have constant power supply in order to work flawlessly for hours. But singer does provide a main switch to turn the device on or off. One noteworthy thing about the device is, it must run on 110 v in US and Canada. Besides, the unit weights only 7 pounds which makes it easy to carry it with you to the sewing classes. And due to its light weight, it makes it place among the best portable sewing machine for beginners. 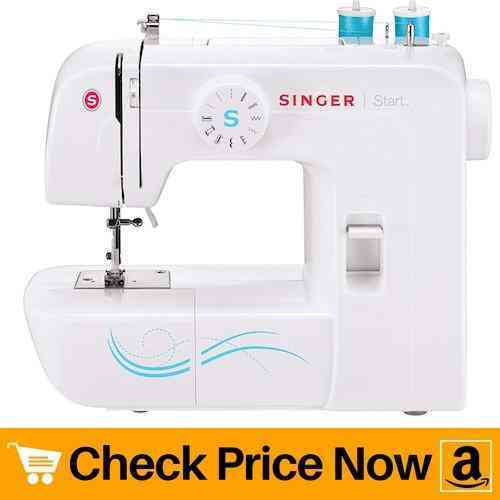 Singer start 1304 sewing machine comes with all basic accessories. Therefore, it includes all-purpose foot, zipper foot, buttonhole foot, darning plate, needles, etc. Its 4-step buttonhole feature allows you to add buttonholes to pillows or clothes very easily. Thus, all of these accessories are enough to make a dress completely along with giving it beautiful embroidery. And such ease of use makes it best singer sewing machine for beginner. 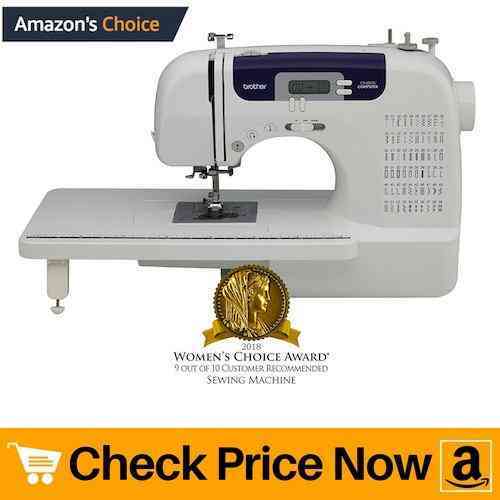 Bottom Line: One of the highly rated machine that you can buy Under $100 from a top sewing machine brand. 6 Built-in stitches that you can start on the very first day of your purchase. Portable sewing machines are increasingly becoming popular as it gives you freedom to carry it anywhere with you. 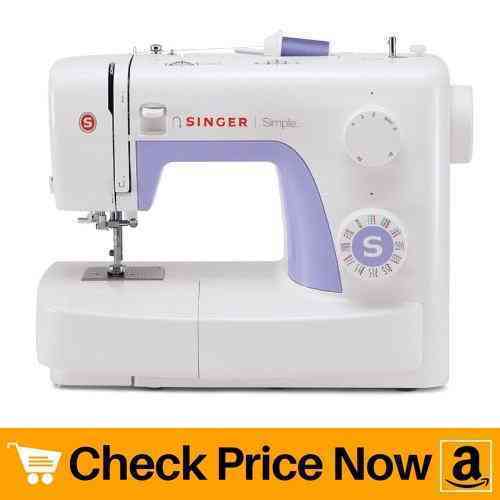 So next on best sewing machines reviews we present you another product from singer which is portable. Apart from being portable, this unit from singer possess great sewing speed. With speed of 750 stitches per minute, you can complete large projects in short time. And here large project stands for sewing of quilts, jeans, leather etc. Further, singer 3232 sewing machine offers high pressure foot lifter that is best to sew thick layers of fabric. And generally, quilts are the one wherein there are more than 1 layer of fabric. Besides providing 6 essential in-built stitches, this singer portable sewing machine offers 19 decorative stitches. If you love to add details to your clothes, then this is best sewing machine for the purpose. With so much of decorative options, you can convert any plain cloth into fashionable one. Apart from that, you get 6 stretch stitches that are perfect for fabrics having elastic. In short, this machine is best for beginner as well as a semi-professional. Heavy-duty metal frame of the machine prevents it from moving while you’re working on it. Not just it helps to keep the unit steady but it also makes the product durable. And durability of the machine directly affects its life span. More sturdy the construction of the product, more will be its longevity. Conclusively, this is best singer sewing machine for beginners in terms of construction and functions. Bottom Line: 32 built in stitches from which 19 are decorative, this Singer unit does not stop your creativity at any point. As a beginner it is an advantage that it cost less than $100. Main concern for majority of people looking for best sewing machine for beginners is budget. Perhaps it is quite common because novice users are afraid to invest huge amount of money on such machines. So we present you a best budget sewing machine for beginner that is perfect for everyday sewing. 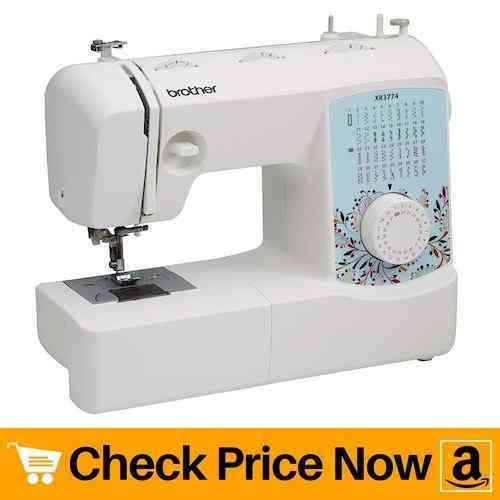 With 27 stitch pattern, this sewing machine from brother also suits people who are willing to learn advance sewing. Be it quilting, blind hem or decorative stitching, this brother XM2701 sewing machine can handle wide range of projects. Also it is very easy to select stitch pattern using a dial knob. Simply rotate the knob, select your favorite pattern and start sewing. The top drop-in bobbin ensures your bobbin stays in place while you’re working on your project. As a result, it helps in perfect and even stitching which very well reflects on the fabric. Similar to many other brother sewing machines, this unit also includes an automatic needle threader. All you need to do is just touch the lever on the side of the machine and it will push the thread right through the needle. Therefore, this user-friendliness of the device makes it best sewing machine under $100. 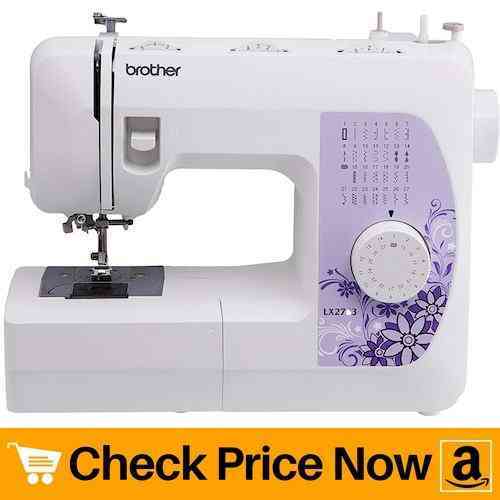 Brother XM2701 sewing machine comes with 6 feet to suit essentially any type of project. Be it including zipper to a pant or doing a narrow hem, this machine handles it like a pro. Moreover, it easily creates custom-size buttonholes with the help of built-in buttonholer. No doubt why it falls under the category of best sewing machine for beginners. Bottom Line: More than 850+ positive customer reviews and from our on hand experience, we can say that you can use it as beginner and will not get fed up until you become an expert. Joy of sewing gets double if you get your favorite color of machine. So here on our best sewing machine for beginners list we present you a wonderful product for janome. This janome sewing machine is made with beginners in mind. So obviously, all its functions are easy to understand and use. Besides being such easy to use, this unit includes easy-to-follow instruction manual and a quick start guide. For more easy start, janome also provides youtube tutorials that illustrates how to sew cloth step by step. All these features are a great help to any novice user new to such type of machines. With 15 built-in stitches and a 4-step buttonhole, the janome arctic crystal sewing machine is perfect for novice users. Using these in-built stitch patterns you can do daily sewing as well as decorative stitching. Furthermore, its 3-piece feed dog system is what makes it different from other products. This system is responsible for smooth fabric feeding. And smooth fabric feeding directly affects finishing of your work. Due to this reason it also stands as one of the best sewing machine for beginners to make quilts. To adjust the stitch to appropriate setting, simply turn the length and zigzag width dial. Therefore, it is necessary to set perfect tension according to the fabric to prevent it from tearing. Go through the guide once if you are completely new to stitching. The guide will help you understand different types of stitches that goes with different fabrics. This along with many other features makes this product a best janome sewing machine for beginners. Bottom Line: Janome brand has made customer happy due to its excellent customer support and fairy priced sewing machines that last long. Watch the in-box tutorial to get start and learn while your stitch your way to the top. A portable sewing machine is must for any beginner who take sewing classes. As portable units are light in weight, it becomes easy for you to carry it from one place to another. But apart from product being light in weight, it should also provide you with all basic stitching features. So here we present you best portable sewing machine from singer offering all essential features for perfect start. In total, singer provides 6 built-in stitches which is very easy to select by rotating a knob. This user-friendliness of the machine suits young people who wish to learn sewing. Thus, it is best singer sewing machine for beginners. To further make controls more easy, singer 1234 portable sewing machine provides preset stitch length and width. This eliminates need to manually set it every time you select a different pattern. Not only does it help to save time but it also maintains perfect tension. And when tension is perfect, the stitch remains for longer period of time as well as prevents tearing of fabric. Besides, this singer portable sewing machine comes with threading diagrams present on right side of the machine. For quick and fast completion of work, singer sewing machine comprises of dual spool pins. These vertical spool pins makes it possible to sew parallel rows that are perfect for hemming. They are also beneficial while you’re decorating any piece of fabric. Overall, it is best singer sewing machine that provides just enough features for a perfect start. 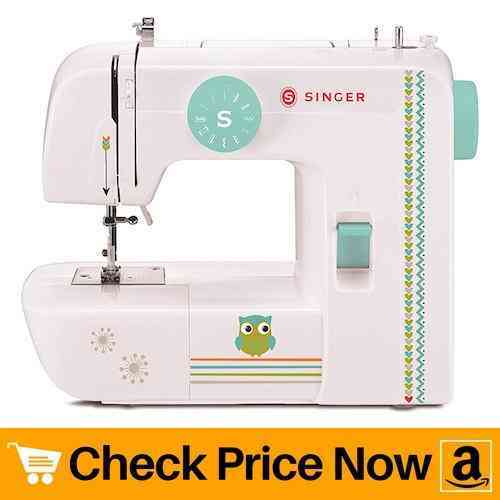 Bottom Line: This singer unit is also very well accepted among sewing enthusiasts and supported by Singer online tutorial videos to get started. Automatic Bobbin and winding features also make it worth every penny you pay. If durability of the product is your first priority then here’s a perfect model for you. And not to mention, but greater the durability of the product more long will it last. 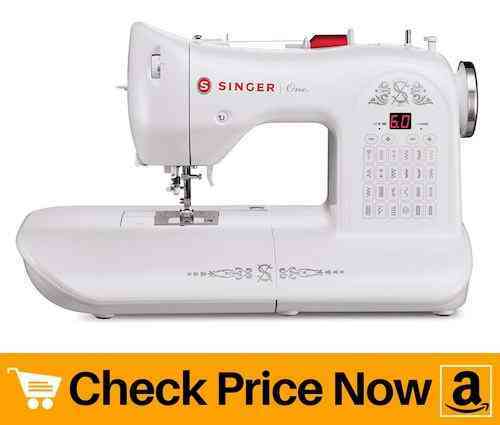 So here on our best sewing machine review list we have a fantastic unit from singer. This vintage style sewing machine is ultimate choice of people looking for basic and advance stitching. While sturdiness of the unit is the cherry on the top of the cake. All thanks to its heavy-duty metal frame construction. Hence, this is best vintage sewing machine for beginners who wish to work on large projects without frequently changing machine. All of the stitch patterns are present on the front panel of the machine. To select the pattern, you just need to press appropriate buttons. This direct stitch selection method is best for beginners as they do not have in-depth knowledge of setting it manually. And in case you select wrong options, the machine displays error. So one sure thing about this vintage sewing machine is accuracy. Therefore, you will get even and precise results every time you turn on the device. Sewing space of 14.7 inches makes it possible to work on big projects such as curtains, quilts, etc. Unlike other singer sewing machines, this unit provides 2 fully-automatic 1-step buttonholes. As a result, you can make multiple buttonholes in very short amount of time. Other than that, this singer vintage sewing machine comprises of 3 led lights which brightens up work space. This in turn helps to get even stitch pattern even if the cloth is dark in color. Bottom Line: The classic vintage touch combined with modern day computer technology to give the best sewing experience. Don’t hesitate from computerized system, they are very helpful for setting stitch units for beginners. We understand your fear of spending huge amount of money on such machines especially if you’re buying it for first time. Also there is no point of investing more money if all you want is basic features. So here’s a low budget unit on our best sewing machines for beginners review list. 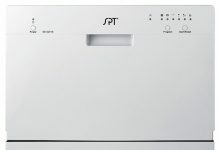 Apart from being inexpensive, spiegel SP3201 provides 32 types of different stitch patterns. These 32 patterns includes both, regular and decorative stitch patterns. So be it normal stitching work or fancy designing, this cheap sewing machine will handle all tasks smoothly. 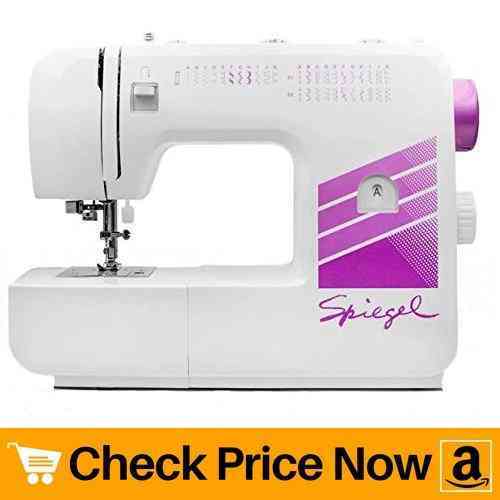 Therefore, low price and easy to use functions of the spiegel sewing machine makes it ideal for gifting. For better user experience, spiegel offers an application that consist of dozens of tutorials. Each of these tutorial will help you with troubleshooting of the device along with creating small projects. Hence, application in addition with project tutorials makes it a best sewing machine for beginners. Speaking of the weight, the unit is quite heavy. As it weights 15.75 pounds, it becomes difficult for some people to carry or shift it. Otherwise, compact size of the machine acquires less space and easily fits in small area. Similar to majority of the sewing machines, this unit also displays variety of stitch patterns on front panel. But instead of buttons, spiegel provides a dial knob to select stitch pattern. This knob is present on the side of the unit which is quite a work of hassle to turn it. Whereas, reverse button is present on front panel to easily perform reverse stitching. Conclusively, low price and decent features of the device makes it ideal for novice users. Bottom Line: Easy top loading bobbin and a price under $100 makes it another excellent beginner sewing machine to buy. If you are just starting out of curiosity then it will be best choice as you are not putting much money. Jamming is the main issue many of the novice users face. Two main reasons for jamming are, improper adjustment of needle while second is fault of machine itself. Most common reason behind jam is threading of sewing machine with presser foot up. You can easily solve a human error but problem arises when machine is responsible for jamming. And as a beginner you do not want to deal with such jams. So we present you best brother sewing machine for beginners with jam-resistant quick-set. Keep all your worries aside as you will barely face jamming with this unit. As a result, it saves your time as well as eliminates hassle of re-threading again and again. The brother LX2763 offers 27 built-in stitches with total of 63 stitch functions. Apart from that, it includes blind hem, decorative, quilting stitches, etc. These features along with good working space of the machine helps to complete large projects. However, weight of the unit is quite heavy which makes it difficult to move it. It weights 16.05 lbs in total. So this brother sewing machine is not a good option if you’re looking for a lightweight device. Just like majority of brother sewing machines, this unit also comprises of automatic threader. Also, instructions on how to load a bobbin and to thread the needle are very clear and easy. These instructions are very helpful to a beginner completely new to sewing. And to further ease the things, brother LX2763 sewing machine provides a thread cutter. So overall, it is a compact yet powerful sewing machine best suitable for beginners. Bottom Line: Lightweight and profession system makes it a good option for beginners who are looking to buy top sewing machine brand under a budget. For a good start, all you need is a great quality of machine along with some basic stitches and accessories. And finish quality of the work gets much better when all accessories are of the same company as of machine. Not only does it fit precisely but it also helps to save a lot of time. 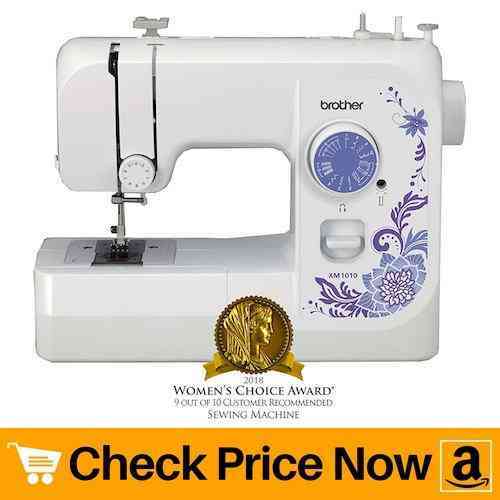 So again we present you a product from brother on our best sewing machine for beginners review list. This machine is ultimate solution for persons who wish to have basic stitch patterns along with basic set of accessories. With 10 unique stitch patterns and it includes blind hem, zigzag, stretch stitches and a 4-step auto-size buttonhole. In short, brother XM1010 sewing machine provides you with enough features to make a complete dress. Maximum speed of 750 stitches per minute makes it possible to complete large projects in short amount of time. Even you get 3-piece needle set in which you can find different shapes and sizes of needle. Each needle has its own importance and should be used according to the type of fabric. Furthermore, right on the machine are diagrams on how to place upper thread, wind and place the bobbin. It simply helps user to use the machine properly and makes it best brother sewing machine for beginners. A dial knob is present just above the sewing area in order to achieve perfect thread tension. Simply turn the knob and adjust length and width of stitch according to the fabric. Doing so ensures that stitches are smooth, not too tight or loose. But above all, budget friendly price of this brother sewing machine makes it perfect choice for beginners. Thus, you get all basic accessories along with product quality at a decent price. Bottom Line: Highly rated by customer which made it an Amazon choice product. One of the truly top brand portable sewing machine available in the market. Enjoy smooth stitching hours with this janome sewing machine. This easy to use machine is best for beginners having basic as well as some advance features. If you wish to own a product for both basic and advance learning, then this unit could be good start. Its wide range of stitch patterns are perfect for regular stitching as well as decorative work. In total, janome offers 19 built-in stitch options with each one being unique from the other. 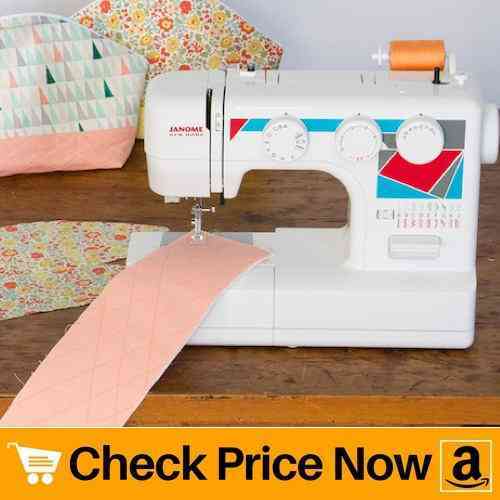 Be it quilting, home decor or heirloom, this little machine can handle almost any type of project. Thus, making it best sewing machine for beginners with wide range of stitch features. Weighing 11.7 pounds, this janome sewing machine is ideal to carry it with you to your sewing classes. But not let the lightweight of the unit fool you as construction of the machine is solid from inside. 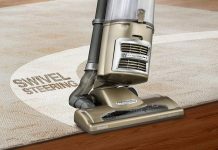 Its heavy-duty interior metal frame keeps the machine steady while you’re using it. As a result, it prevents uneven stitching as well as ensures skip-free sewing. Also this study interior frame increases life span of the product which ultimately makes it durable. 5-piece dog feeding system is what makes this janome sewing machine best for beginners. This system allows smooth feeding of fabric on almost all types of fabric. Besides that, it features one-hand needle threader system. While diagrams guide you to properly thread the machine, built-in needle threader quickly get thread through the eye of needle. Therefore, you will get your thread inside the needle in no time. 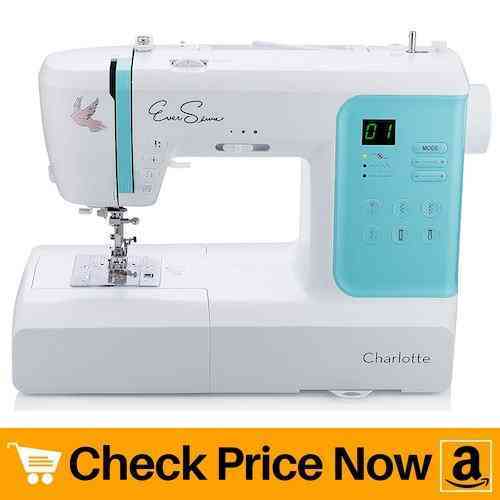 This feature definitely makes it one of the best sewing machine for beginners. Bottom Line: Good speed of stitching with 5 piece feed dogs system, as a beginner you are going to love it very much. If you’re looking for a decent working product under budget then here’s a perfect product for you. 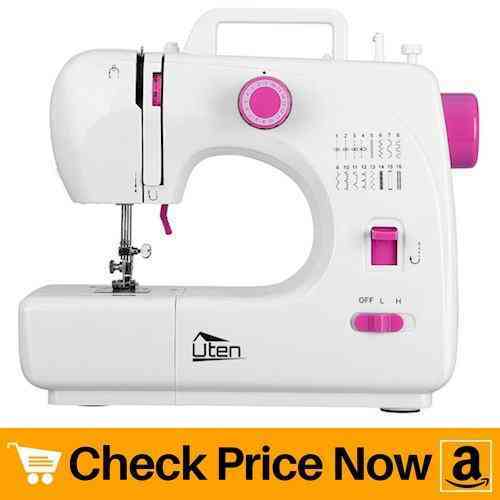 This portable sewing machine from uten is light in weight as well as low on budget. Total weight of unit is just 7.6 lbs which makes it easy to carry it from one place to another. And due to its extreme less weight it is ideal for teens and kids who wish to learn sewing. Talking about the features, this portable sewing machine offers 16 stitch patterns including both basic and decorative ones. And as the unit does not have a led screen, you need to turn dial knob to choose appropriate pattern. Don’t worry as selecting stitch pattern is a breeze through dial knob. This little portable sewing machine offers 2 speeds. Normal speed is good enough for beginners whereas you can increase speed once you get comfortable. But above all, less price of the product attracts most of the users. 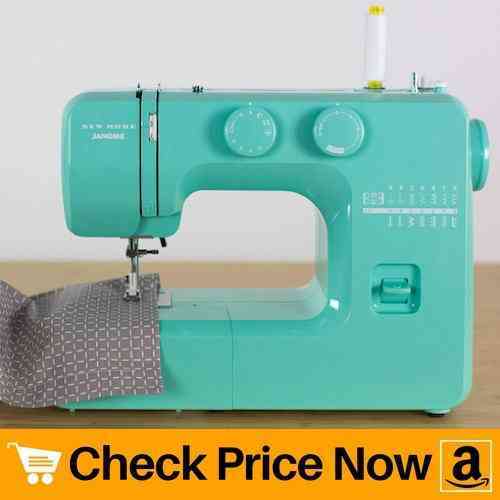 And because of this reason, it also stands as one of the best sewing machine for beginners under $100. Other than that, it is possible to reverse sew by simply pressing a reverse button. Reverse sewing is beneficial in reinforcing ends of seam so that there are no loose ends. Replaceable foot allows you to change different presser foot for different needs. However, it does not come with any of the foot so you need to buy them separately. But it does provide thread cutter for user convenience. Also led light brightens up the sewing area so that you get even stitches every time. All in all, decent features of this portable sewing machine makes it suitable to gift learners and novice users. Bottom Line: Uten is new in the market but this unit is perfect to start your stitching life. This Multi-function and portable sewing machine can become yours for less than $100. As of now you know that singer sewing machine is dominating our reviews on best sewing machine for beginners. And why not, as they offer easy user controls along with quality product. 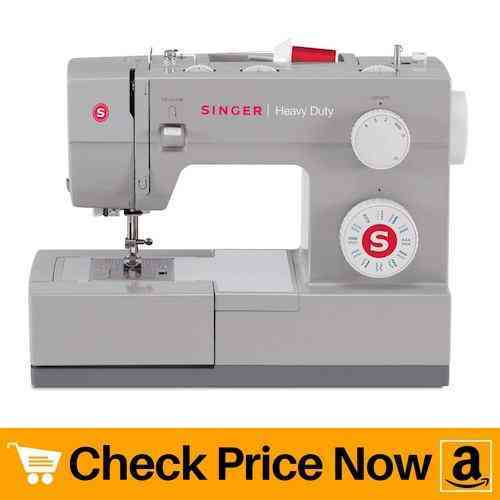 And this singer heavy duty sewing machine is perfect for those who are looking for basic and advance learning. Singer’s 23 stitch pattern allows you to work on variety of sewing projects. Among the 23 patterns, it comprises of 6 basic stitches, 4 stretch stitches and 12 decorative patterns. Thus, making it best heavy duty sewing machine for beginners. Also it is very easy to insert and remove bobbin. And clear cover makes it easy for you to monitor bobbin thread supply. Powerful motor of this singer heavy duty sewing machine posses sewing capacity up to 1100 stitches per minute. And with such a great speed you hassle free complete large projects in short period of time. Ultimately, it saves your time while allowing you to work on multiple big projects. Not just that, sturdy construction of motor also allows you to work on thick fabrics. So be it quilts, thick jeans or canvas, this heavy duty sewing machine will finish all your projects with excellence. 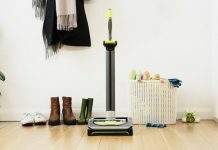 Singer provides an application which includes new sewing techniques, FAQ’s about different models and much more. All you need to do is, download the application and you get access to bunch of free sewing tutorials. So not to worry if you’re beginning to sew for very first time as singer’s got your back. Just step up this heavy duty sewing machine and start with your first project. And do not worry about life span of the product as it comprises of heavy duty metal frame. Overall, it is best sewing machine for beginners as well as semi-professionals in terms of strength and functions. Things becomes much more easier when you get a wide working table. And this brother sewing machine is perfect for those who wish to have good working space. There are many advantages of having wide working space. First of all, it proves great help for beginner who are completely new to sewing. Secondly, wide table helps to manage large projects such as quilts, curtains, etc. And nothing can be more beneficial than a wide table to keep the fabric steady. Therefore, steady sewing of fabric means even results. So one sure thing about this brother sewing machine with wide table is, consistent result. Apart from offering great working space, brother XR3774 sewing machine comprises of 37-built in stitches. In addition, you get 8 sewing feet with buttonhole, zipper, zigzag, blind stitch, narrow hemming, quilting, etc. And with maximum sewing speed of 800 stitches per minute, you can handle any type of project. So no matter what size the projects is, this powerful brother sewing machine will handle it like a pro. 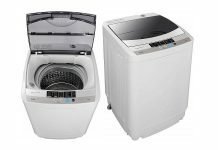 Also sturdy motor of the machine is convenient for everyday use. Last on the review list we have a computerized sewing machine for beginners. Attractive in look, this product from charlotte offers 70 different stitch patterns with maximum stitch width of 7 mm. However, these patterns are not printed on the machine which is quite obvious because of more number. In spite of that, charlotte comes with a pattern plate which is present on the bottom of the unit. You can simply select the mode and pattern number from the plate by simply pressing buttons. Once you select appropriate stitch pattern you are all set to begin your first sewing session. In case you select wrong mode, the machine will display error and not start until you solve the error. This function reduce chances of uneven stitching as well as prevents jamming of thread. If you’re fan of embroidery then here’s a good news for you. This little machine allows you to create free motion embroidery designs irrespective of sewing experience. Just lower the feed dogs and start making your own embroidery design. Therefore, this feature makes it best embroidery sewing machine for beginners. Other features include automatic needle threader and drop-in bobbin with clear cover plate. Further, 7 standard presser feet simplifies sewing work as well as saves time. In spite of foot pedal, this computerized sewing machine features a start/stop button to control the unit. Plus there are different speed functions to control rate of sewing. Both of which eliminates need of foot pedal. Moreover, interior metal frame ensures performance of the product do not degrade over time. So do not worry as this unit from charlotte is going to last for years because of its sturdy construction. To know more about home appliances keep visiting us regularly for in-depth reviews. 1. How To Use A Sewing Machine For Beginners? One important thing to do before beginning sewing session is to know major parts of your sewing machine. It is important because without proper identification of parts you might take hours or even days to start machine. Also it increases risk of damaging machine if you do not have adequate information about different parts of machine. In order to ease use of sewing machine for beginners, we have made a short list of points. Go through each of the point once to prevent any damage to machine. First and foremost thing before beginning to use a sewing machine is to gather information about different parts and to understand function of each part of the machine. Best way to do so is to search online or buy a book. Second thing is to place the machine on a steady surface. Reason behind placing the unit on steady surface is to obtain even and consistent output. Now its time to install needle and bobbin into their appropriate places. Then after, properly thread the sewing machine, plug in the cord and turn the switch on. Before turning the unit install the foot pedal in case it is comes along. Make sure pedal is comfortable for you to operate. Select stitch pattern and adjust thread tension according to the fabric. Here thread tension plays an important role in determining stitch quality. After that, place the fabric below presser foot and lower it. Now press the foot pedal(if present) and begin sewing. Keep moving the fabric forward to get even results. Once you get comfortable with normal sewing, you can try different functions such as reverse sewing. Remember that it will take a while to understand your machine completely. Plus you will need several small pieces of cloth to try different patterns. But once you get comfortable with the machine, you can flawlessly work on your projects. 2. Which sewing machine is best for home use? So here’s another common question from buyers apart from ‘what is the best sewing machine for beginners’. Some buyers exclusively need a unit for home use. And when you’re looking for a sewing machine best for home use then all you need are some basic features. 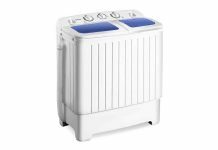 Also you might not use the unit for long hours so a decent motor will work fine for home use. 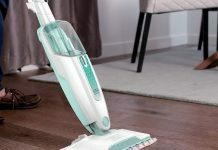 Another important thing is lightweight of the product so that you take the unit anywhere in your home. In our opinion, Singer simple 3232 is best for home use. It is light in weight, provides 32 stitch patterns and many other attractive features. All of its features simply increases user comfort and makes it best sewing machine for home use. 3. What is the best quilting sewing machine for a beginner? Quilting is the next step after sewing. No doubt that quilting is much more fun as you can give favorite patterns to your quilt. But an important thing to keep in mind before quilting is to place appropriate needle. As quilt have multiple layers of fabric, you need to have thick needle for quilting. Secondly, your machine should have decent table width because quilts are generally large in size. Last and most important thing is user comfort. You should be comfortable with your machine to get best result. 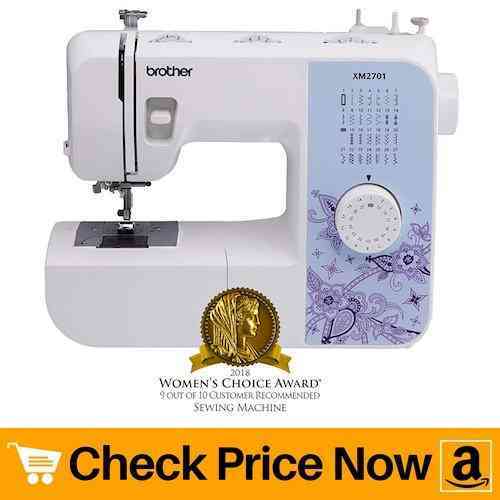 And one best quilting sewing machine for beginners in our review list is brother cs6000i brother sewing and quilting machine CS6000i. Wide table and user friendly features makes it best quilting machine for beginners. 4. Which Sewing Machine is Better: Computerized Or Mechanical? Here comes difficult question of all, which sewing machine is better? Well, no one can surely answer this question as it solely depends upon user. However, there are some points you can consider that can help you find best sewing machine. First of all, computerized sewing machine is more convenient for beginner as all of its controls are easy to use. Secondly, you can access all of its feature by simply pressing button which saves lot of time. Further, you will find more number of stitch patterns and buttonhole options in computerized sewing machines. Also such type of machines do not make use of foot pedals which again increases user comfort. But these type of units are more costlier than mechanical ones. Mechanical sewing machines are generally cheap than computerized one. This is because you have to manually perform majority of operations. Otherwise, mechanical units are easy to maintain than computerized sewing machine. Less presence of electrical components is responsible for low maintenance of such machines. Moreover, mechanical units are more strong than computer ones. And due to this reason they are more suitable for heavy duty or large projects. However, you do not get variety of stitch patterns as compared to computerized sewing machines. But no to worry as you can always use mechanical units for quilting, making curtains and other large projects. Conclusively, both the machines posses great qualities of their own which makes them popular among users. Our review list includes different type of models so that you can choose the best sewing machine according to your need.